Finarea S.A. is a Swiss company that operates discount phone services under different brands. Even if you are in VoIP, you probably never heard Finarea until now, but brands such as voipbuster, voipstunt are probably very well known especially if you are after deals to international calls. Betamax GmbH & Co KG is a German company that according to their press release, in December 2005, they took over all of the VoIP services previously run by Finarea SA. 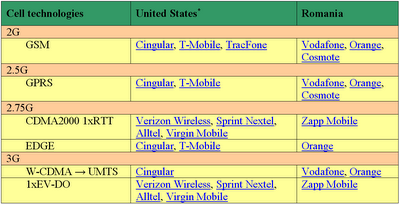 A few more VoIP services were added after that to the group. The rates and promotions are always different between these providers. 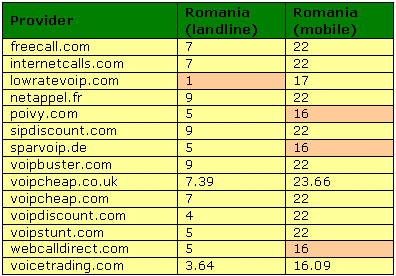 The following table lists the rates with Romania as extracted by the guy at http://backsla.sh/betamax. Other source of non-official but good information about these companies can be found at Wolf’s pages. ...and this time it's YOUR chance to get rich. At least this is what Alex Tew, the kid that made $1.000.000 by selling pixels, is saying. Last time he sold the pixels of a 1000x1000 image at The Million Dollar Homepage with $1 each (a minimum square of 10x10 pixels per purchase required). Now he is trying to do the same thing again but this time at a rate of $2/pixel on a new site called Pixelotto. The gotcha is that he will offer via a lottery half of the collected money (meaning $1.000.000) to a lucky guy who bought some pixels. Do you want an unlimited voice mail box with classical answering machines advantages such as real time listening on voice messages? Do you want a single phone number that people can use to reach you no matter if you are at work, at home or on the road? Do you want privacy by blocking unwanted callers?